The use of water is undeniable: it provides brightness and tone to the skin, improves digestion and speeds up the metabolism. But, adding only a few slices of these products, all the useful properties of water can be multiplied. 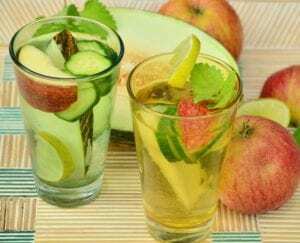 Preparing the so-called detox water is not difficult at all. To do this, you need to cut the fruits and vegetables into pieces and pour them with drinking water. 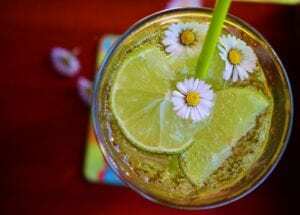 Ideally, the drink should be infused for at least two hours before consumption, so it will definitely have all the properties of its ingredients. In the mornings it is recommended to add a few slices of citrus in a glass of water. It can be a lemon, an orange, and even a grapefruit. Citrus fruits in water are useful because of vitamin C, which helps the body to distribute fats more efficiently, regulates metabolism, removes toxins, improves bile secretion, restores the exocrine function of the pancreas and thyroid gland. Cucumbers are rich in vitamins A and C, as well as potassium, which also removes toxins from the body. These substances provide normal digestive and metabolic processes. 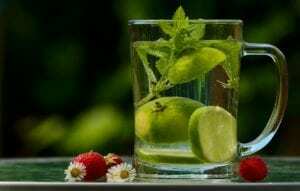 Spicy water is, of course, a bit unusual, but it is rather useful and important – it helps to lose weight. And all because cayenne pepper contains capsaicin, which instantly improves metabolism, and also suppresses hunger.